A leader whom I admire said this week that we need to drive out fear, versus using it as a tool for power. We were lamenting that this has been an election of fear. I told him part of my truth, but not all of it. I told him that my brother-in-law is terrified that his Mexican wife of 20 years, the mother of their two daughters, will be deported. I told him that my gay friends are afraid their marriages will be dissolved. I told him that a sweet, young Vietnamese friend was disturbed by a horrible racist incident on her campus in Minnesota. I shared how troubled I was at the stories of harassment of blacks and Muslim women wearing hijabs, and of Hispanic children bullied at their schools with taunts of being deported and building the wall. And this is the experience of a privileged white woman since the election. But I didn’t tell him the rest. I didn’t tell him that I’ve lost sleep over these last couple of weeks for fear of slowly losing our civil rights and democracy to an autocrat who trades in fear. I didn’t tell him how I’ve struggled to understand how so many could overlook such overt sexism, racism, and bullying for a single issue or for politics. 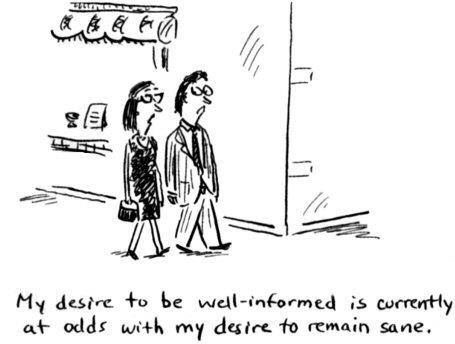 I couldn’t admit that I’ve been unable to watch the news or open a newspaper since the election, as it’s too depressing to think about a racist overseeing the country’s law enforcement, or an isolationist as national security adviser, or a white supremacist whispering in the ear of the man in the most powerful job in the world. I’m having trouble coping with news stories about ripping families apart through the immediate deportation of 2-3 million citizens, or how there’s “historical precedence” for a Muslim registry or even internment camps. My world changed overnight, and I’ve struggled to cope with it all. My struggle is embarrassing and shocking at the same time: after all, I’m a 50-year old strong and successful woman. How can this have impacted me so? But I’m my mother’s daughter, and I knew that I would eventually pick myself up. The shock and fear are starting to wear off, being replaced by determination. I’ve started taking action, and that is lessening my fear. I will fight to keep the gains women have made over these last 50 years, for myself yes, but especially for my teenage daughters. I will be vocal in support of the right to basic dignity and protection that my LGBT family and friends deserve. And, as scared as I am of the thought, if necessary I would face water cannons and prison to ensure that the freedoms of religion and speech remain bedrocks of American democracy. My favorite Bible verse is Romans 8:38-39, and it reminds me that neither principalities nor powers can separate us from the love of God. And in Philippians 1:30, Paul invites us to join him in the battle. In my immediate reaction, I nearly forgot Who always has been and will be in complete control. But He has always needed arms and legs. I offer mine. I am not afraid. “I refuse to accept the view that mankind is so tragically bound to the starless midnight of racism and war that the bright daybreak of peace and brotherhood can never become a reality…I believe that unarmed truth and unconditional love will have the final word.” –Martin Luther King Jr. This entry was posted on Sunday, November 20th, 2016 at 8:27 am	and tagged with Change, Comfort, Courage, Difference, Fear and posted in Change, Comfort, Courage, Difference, Fear. You can follow any responses to this entry through the RSS 2.0 feed.